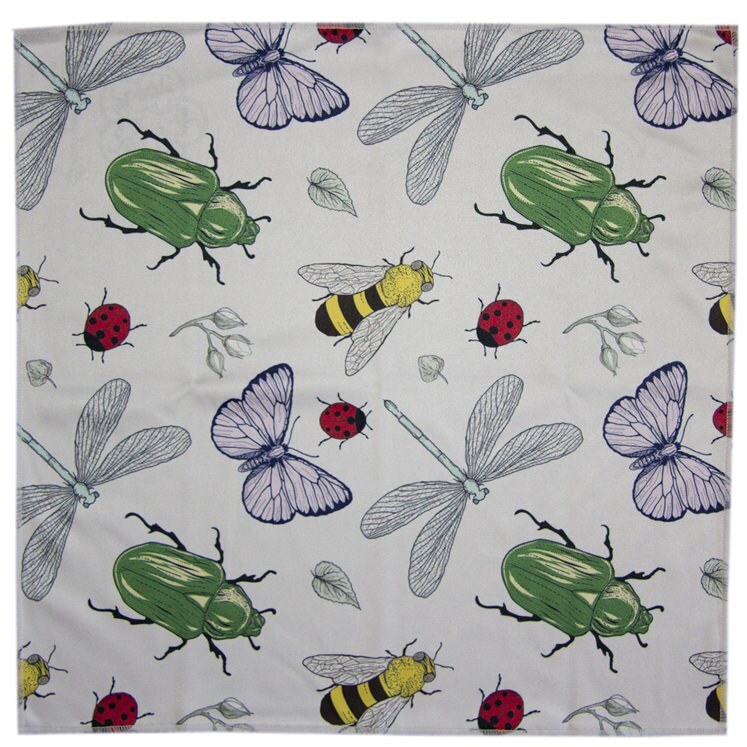 Bugs and Beetles print microfiber pocket square. This pocket square is tailored from supple 'microfiber' cloth that is ideal for cleaning the lenses on your eyewear and computer or smartphone screen. The fabric is woven from ultra fine threads that are highly absorptive to water and its oils. Plus, it's engineered with a positive electrostatic charge, so it actually attracts unwanted dust,. 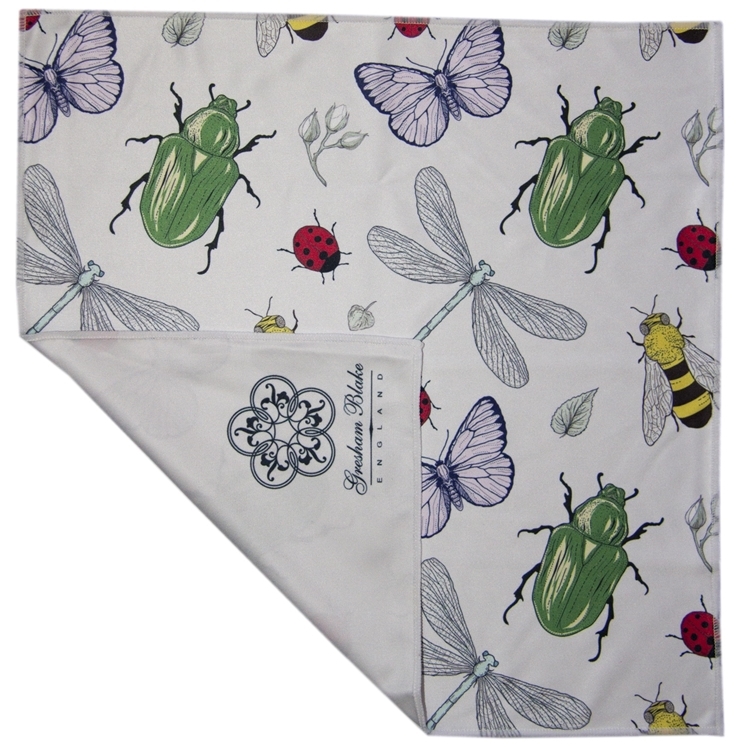 Printed with our signature patterns this piece works perfectly as a pocket square, making it both stylish and functional. Packaged in a branded envelope. 30cm square.